Eli Tomac of Cortez placed second in the first moto at the Ironman National in Crawfordsville, Indiana, en route to his second 450 class title in two years. Eli Tomac raced through a muddy track Saturday in Indiana to win his second straight championship in the Lucas Oil Pro Motocross series. He became the first rider to repeat as 450 class motocross champion since Ricky Carmichael in 2006. He nearly clinched the title with a second-place finish in the first moto and took a 24-point series lead into the final moto of the season. Only a disastrous finish by Tomac and a victory by rival Marvin Musquin could steal Tomac’s day in the sun. In Tomac’s mind, the championship was not a lock. 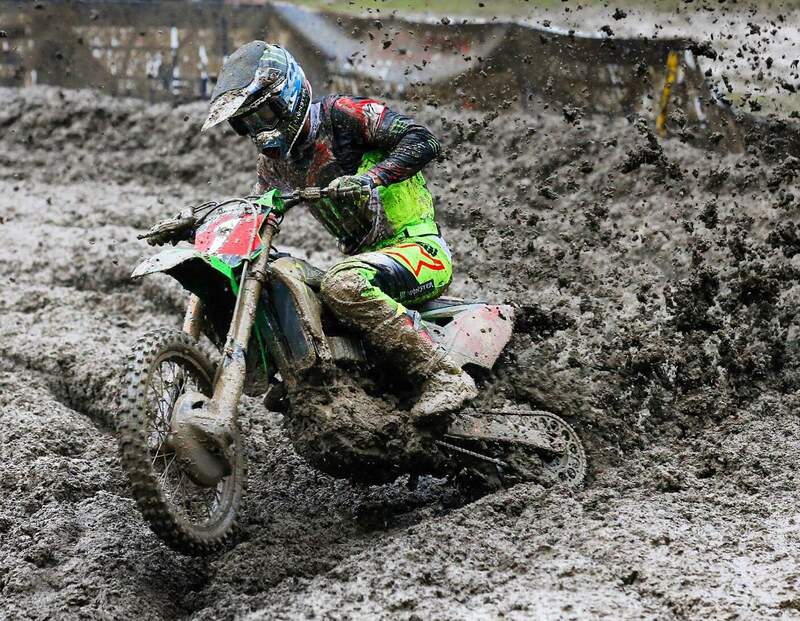 “You know, anything can happen, and then the rain showed up,” Tomac said after the race. “It gets your head spinning, for sure. ... We did better in the mud this year, but you just never know. “Everything still had to fall in the right place. We had to get through the first turn and not get stuck in the mud somewhere,” he said. Finishing ninth in the second moto, Tomac picked up enough points for fourth place overall at the season-ending Ironman National in Crawfordsville. He successfully defended his series championship with a 16-point lead over second-place Musquin, nearly repeating his 17-point victory last year. He capped this year’s 12-race series with a dominating 15 moto wins and eight overall wins. For the season, he led 138 laps, compared with Musquin’s 95 and Ken Roczen’s 79. Roczen joined Tomac and Musquin on the series podium, 82 points off the series lead. Tomac’s teammate in October’s upcoming Motocross of Nations race, Justin Barcia, was 83 points back, followed by Blake Baggett, 136 points off the lead. Barcia came away with the overall Ironman victory after winning both motos (1-1). Ken Roczen (3-2) was second, and Musquin (4-3) was third. Tomac (2-9) and Cooper Webb (9-4) rounded out the top 5. “Even though we were dominant this year and won twice as many races, it was pretty stressful,” Tomac said. Two muddy races for the titleIn the first moto, Tomac was in fifth place at the end of the first lap, trailing Barcia, holeshot winner Dylan Merriam, and Phillip Nicoletti and Chad Reed. He moved into fourth in the second lap and in the third, as the front-runners began to lap riders in the back of the field, he ran the fastest lap of the race to move into third place behind Nicoletti and Barcia. Musquin, the No. 2 rider in the series, was in seventh. In the sixth lap, Barcia got by Nicoletti for the lead. Tomac also passed Nicoletti, but briefly lost a spot when he his front wheel went airborne on a corner and he low-sided on the exit. He quickly recovered and regained second placed but was far behind Barcia. Running more than 20 seconds ahead of Tomac by the end of the seventh lap, Barcia pushed through the mud to win his first moto of the season, more than 21 seconds ahead. In the meantime, Musquin was moving up in the crucial race for points and charged from sixth place to fourth. Musquin’s strong finish cut Tomac’s overall lead to 24 points, with the final 25-point moto of the season to come. With a victory in the final moto, Musquin could steal the title if Tomac finished out of the Top 20. “My goal was to attack the first one, and do everything I could do to clinch, and I missed it,” Tomac said. In the second, as the mud got heavy and sticky, Tomac said he was riding “pretty easy,” avoiding high revs and trying not to do anything that might burn up his bike. He was in 15th place at the end of the first lap and in eighth midway through the second moto. Barcia ran in front, followed by some of the familiar names that chased Tomac most of the season – Ken Roczen, Chad Webb, Marvin Musquin and Blake Baggett. Immediately ahead of Tomac were the surprising Canadian Tyler Medaglia and the steady Chad Reed. “I kinda had to mail it in,” Tomac said later. As the race neared the wire, Barcia provided a little drama to what had seemed a sure victory, when he went down twice while holding a 15-second lead. He lost about 7 seconds, but made up time in the final lap to win by 15.365 seconds over Roczen. Earlier Saturday, rainfall shortened qualifying rounds to just one practice session. Tomac was the fastest qualifier, with a time of 2 minutes, 41.816 seconds. He was followed by Barcia at 2:43.059 and Musquin at 2:44.266. Roczen and Nicoletti were fourth and fifth, respectively. Looking back, moving forwardTomac on Saturday spent a couple of minutes looking back on his career, thoughts that he said stuck with him as he lined up for the final moto of the season. “It’s crazy how things have to fall into place to get here,” he said. He also looked forward to the Motocross of Nations on Oct. 6-7, and the chance to race the legendary “Flying Dutchman,” Jeffrey Herlings, who won back-to-back world titles in 2016 and 2017. “Hopefully we do get to go to battle,” Tomac said. “It’s cool that it’s coming back to the home field, this year, and we’re going to give it our all. Tomac said he planned to take a little bit of downtime, and work on a new bike for the Michigan race. “It’s an exciting bike,” he said. 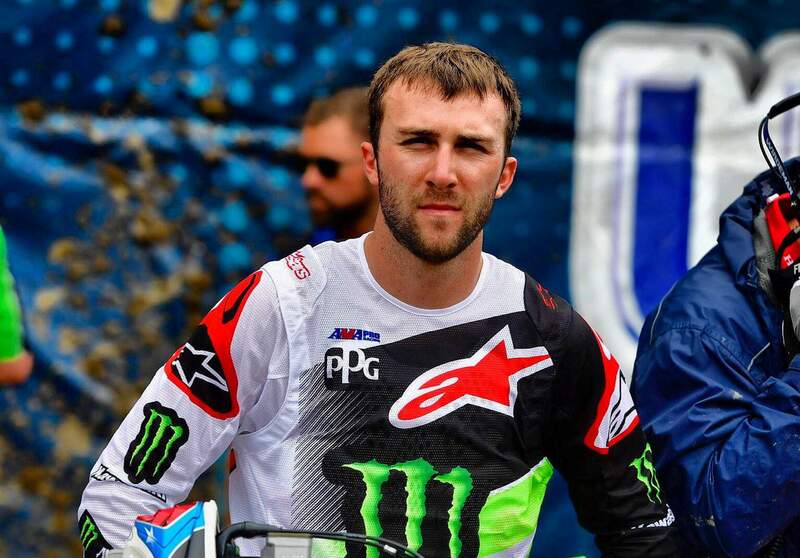 Is Cortez’s Eli Tomac the heir apparent to Ryan Dungey?